Smart Products USA, Inc. offers end to end “clean” manufacturing for many of our customers’ demanding applications. 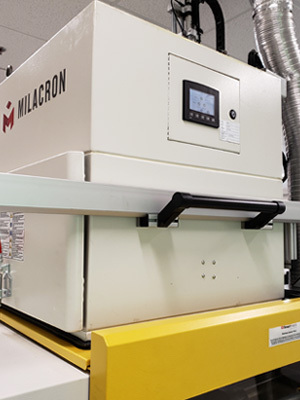 The process starts with injection molded parts from one of our Millacron machines (pictured right) using HEPA filtration attached to the machine. Molded parts are then transported via vacuum tube directly into our ISO Class 7 cleanroom. 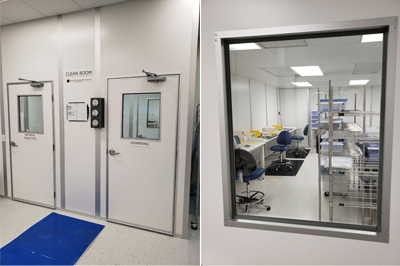 All assembly procedures and 1st article inspections are done in the cleanroom, and springs and o-rings are kept sealed until assembly is ready to begin. In process audits are performed during assembly procedure ending with a final QA inspection. All valves are tested for proper function and bagged in the cleanroom (pictured below). In addition, we can perform visual inspections on springs and o-rings prior to assembly. Parts are placed in the cleaning tank. An ultrasonic generator converts 50-60 Hz (Hertz) of electric power to a high frequency electric signal. An ultrasonic transducer converts the electric signal into mechanical vibrations, which remove any contaminants from parts. When the ultrasonic cleaner is activated, the transducers begin to vibrate. Once enough energy is produced, the fluid molecules are pulled apart, creating microscopic bubbles called cavitation. The cavitation bubbles will tend to collapse on the surface of the parts, which causes a scrubbing action that removes contaminants from them. Ultrasonic cleaning can reduce “stiction” in some component combinations. 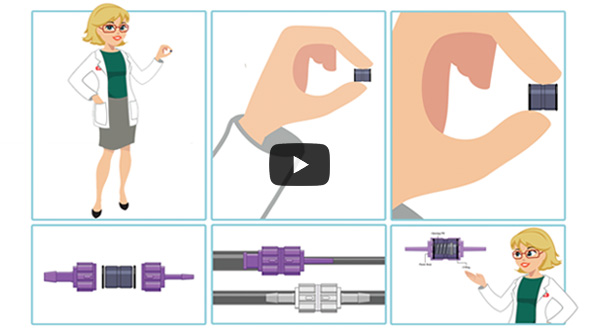 For questions, contact a Product & Application Specialist at (800) 338-0404 or sales@smartproducts.com. 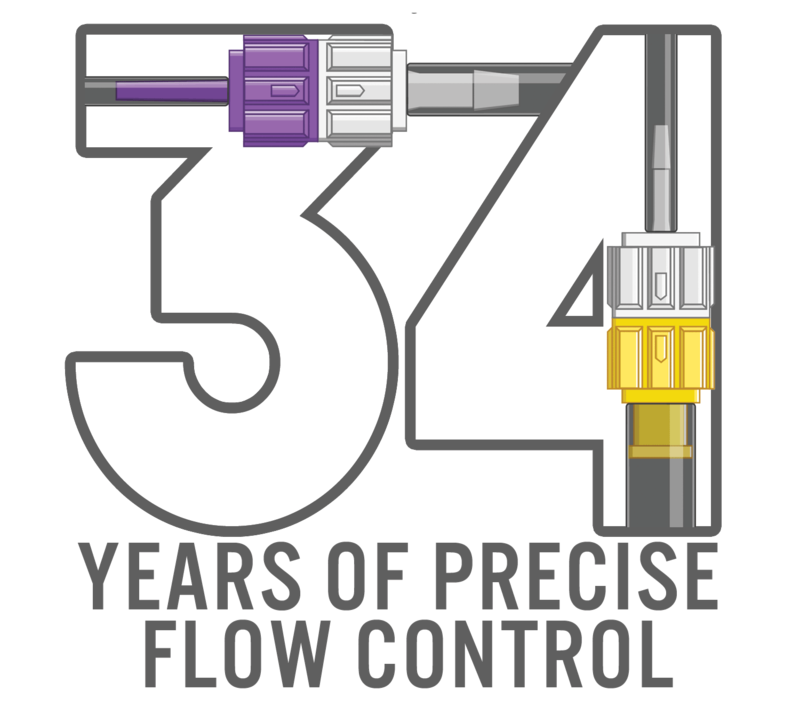 Smart Products Celebrates 34 Years in Business this October!